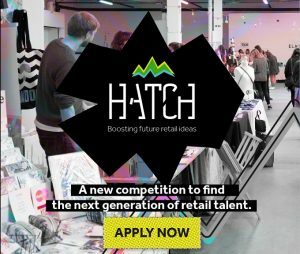 The Galleries Shopping Centre is taking part in a major national campaign – HATCH – which aims to unearth the next generation of retail talent by offering free space and marketing support to stand out retail concepts for up to 3 months. The Galleries was selected as one of just six participating shopping outlets nationwide to host the competition. Aspiring retailers will be in with a chance to win free space at the Galleries as part of the Dragons’ Den style competition, with all utilities, service charges and business rates for three months included in the prize. Successful entrants will also be granted a year’s free membership with the British Independent Retail Association (bira), giving access to expert marketing and legal advice, a unique retail insurance scheme, card processing and preferential banking rates, all designed to help them take their businesses to the next level. 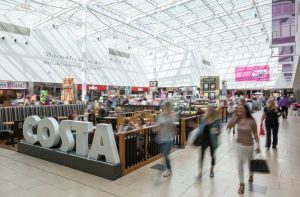 HATCH was launched by retail property trade body Revo in collaboration with many key players within the retail sector to breathe new life into shopping centres around the UK and Ireland. The closing date to enter HATCH is 30th April. Entrants, who can apply online here, will present their ideas to judges in May, with the winners announced later that month.